Today is we are adding a new addition to the In a Word series which has a consistent length to all it's big words. We are introducing a new stamp set to the series: In a Word: Grand Merry stamp set including a new bold "merry" and then a fancy "merry" along with a few little images and bold supporting words/phrases. We hope you find this set an invaluable part of your crafting arsenal! Want coordinating cutaways to the stamp set? We've got that too with the In a Word: Grand Merry Cutaways. 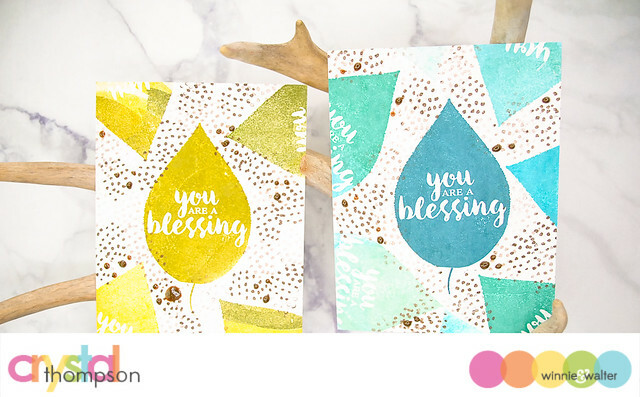 In the style of Happy Birthday to You and Warm Wishes to You is our new You Are a Blessing stamp set. You Are A Blessing will be our special free with purchase stamp set as a thank you gift. See below for more details. 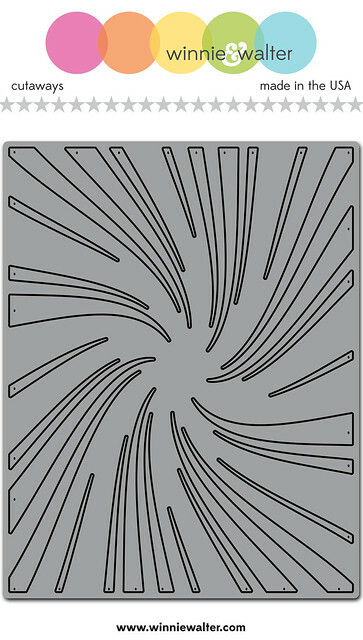 We have transformed our ever popular The Peppermint Zone into a cover-plate die called Cover Model: The Peppermint Zone Cutaway. We will be manually adding You Are a Blessing to your order and it will not be reflected on your invoice. 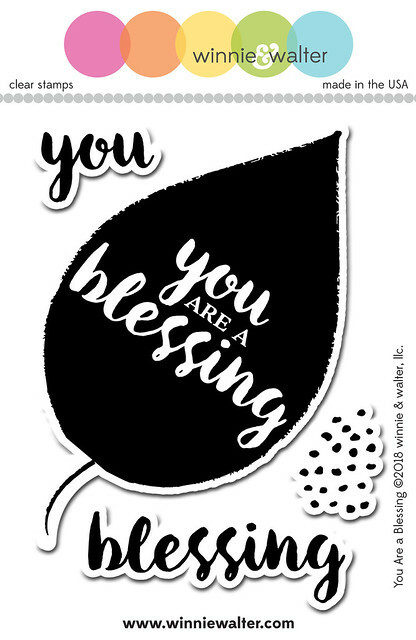 You Are a Blessing is not a limited edition stamp set and will be released for sale later. My first set of cards feature In a Word: Grand Merry, In a Word: Grand Merry Cutaways and Cover Model: The Peppermint Zone Cutaway. These two cards are super easy to make. For the first card I cut out the Cover Model: The Peppermint Zone Cutaway and adhered it to a white A2 card base. I stamped "christmas" in cracked pistachio and "merry" in picked raspberry and then cut it out using the In a Word: Grand Merry Cutaways. I then attached the Christmas strip to the card with dimensional foam adhesive and adhered the merry to that strip. Last I tied some embossing floss around the card. My second card is a dream to make. 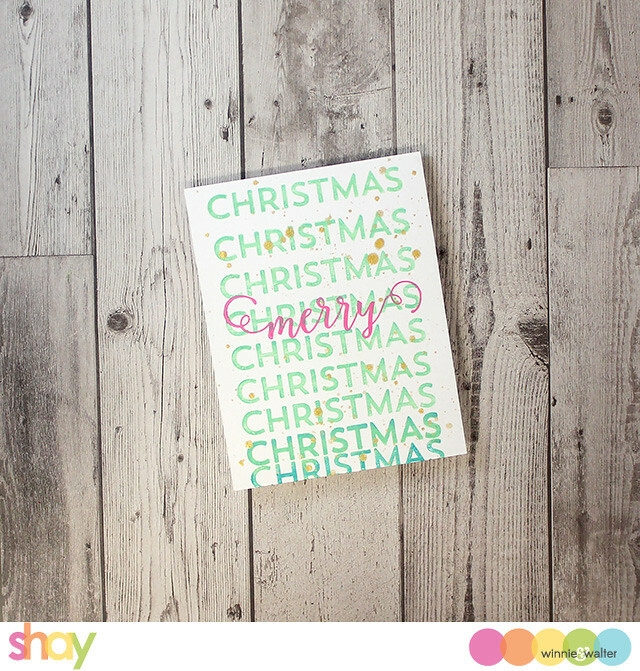 Simply stamp Christmas multiple times and then merry over Christmas. I finished off the card with some gold splatters because I simply can't help myself. My last card is another easy card, but I think turned out well. Using the free with qualifying $25.00 orders, You Are a Blessing, I inked up the leaf with Distress Oxide inks in peacock feather, broken china, fossilized amber and cracked pistachio and then spritzed it with water until the color ran and I stamped onto a piece of watercolor paper. I then stamped over some of the leaf with the dots in the stamp set. I splattered the panel with gold spray and adhered the die cut using In a Word: Thanks Coordinating Cutaways. I then adhered the watercolor panel to a mustard A2 card base with some foam adhesive in the middle allowing the edges to curl up for a more artsy feel. Comment here on this post for a chance to win In a Word: Grand Merry stamp set + You Are a Blessing stamp set (free with $25.00 qualifying orders) + Cover Model: The Peppermint Zone Cutaway + In a Word: Grand Merry Cutaways of your own by 11:59 p.m. (central standard time) November 30, 2018. One comment will be chosen at random. I love the Grand Merry set! I'd stamp a bunch by leaving all the sentiments together first! Like a background stamp. Lots of wonderful inspiration using it. Love how Heather's card actually looks like a peppermint candy. How pretty! Love the Variations with Merry, such a beautiful release! Love the Leas card with festive mood! Love the peppermint die--so creative! Actually I love all the new products & you've all inspired me today! Oh my...so many possibilities with these new sets, as you and your DT have clearly shown! The Grand Merry is, indeed, grand; the Peppermint die, fabulous! List increasing! Oh.... these are so sweet!!!!!! I am thrilled to see this Blessing set!! You don't have all that many faith-based sets, so I love seeing you add this. Hope there will be more!! I absolutely LOVE the card you made with it, Shay!!! Everyone's samples are just spectacular. I ADORE this new release!!! Love these stamps... Oh, and when I first saw the peppermint die cut in a sample, I knew that I wanted it! It is fantastic!!!! Oh so excited for the peppermint cutaway and the new Grand Merry. Can't wait! Awesome new stamps and dies! I'm in love with that fabulous Peppermint Zone cutaway! Love that Peppermint Zone cutaway!! wow - LOVE these new product especially the peppermint zone cover plate - this is a MUST have for me!!! Oh my goodness! Look at all of these! Such wonderful cards highlighting these amazing stamps and dies! Love the Peppermint Zone! So creative!! Another fabulous release day with great inspiration! I love the Peppermint Zone die! WOW! I love the MERRY die! So much versatility! Such great ideas and inspiration from the DTs! THANK YOU! Wonderful Christmas cards and I like the You are a Blessing set. I really like the Grand Merry stamp set - so many ways to use those bold words! Ooh, I love the Peppermint Zone cover die and the Grand Merry set would be fun to use on so many projects. I just want to say that Lea's card is stunning!! The Peppermint Zone is perfection!! Amazing inspirations with the new items!! That Peppermint Zone cutaway die is amazing. Love those big, bold sentiment stamps!!! Also love that the peppermint zone stencil is now a background die!!! Fabulous new release!!!!! Oh my cover plate loving heart! I am totally in love with that peppermint zone cover! AMAZING!!! Beautiful cards. Love all the dies. Oh my gosh - I MUST have the Peppermint Zone cover die! It's brilliant and I love the cards the DT created with it! Beautiful! I love the In a Word Grand Merry. I can see many uses for that set. Love all the beautiful work by the DT. 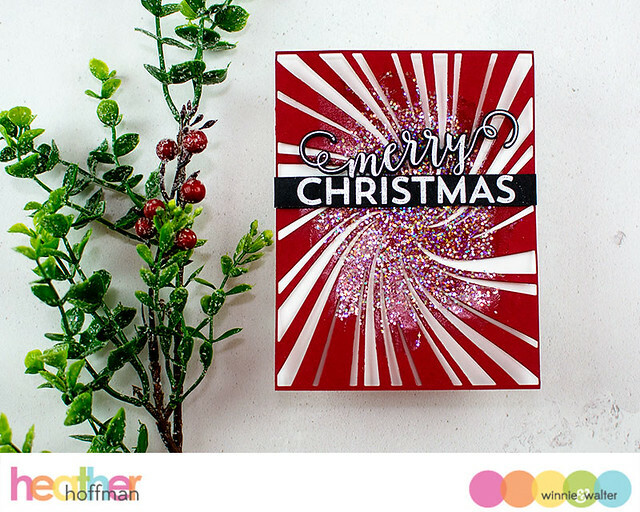 The Peppermint Zone die is amazing and a perfect Christmas backdrop! I love, love the peppermint zone die! So many awesome creations with it! Beautiful inspiration today with these fun new products. Fabulous bold and beautiful new products! AMAZING inspiration from the design team - WOW! The Peppermint Zone Cut Away Die is too cool! I love it. Great Christmas projects today. Love the release and ideas today. The Peppermint Zone die is awesome. OMG the Peppermint Zone die is spectacular!!!!!!! Love the peppermint zone die! What gorgeous cards! 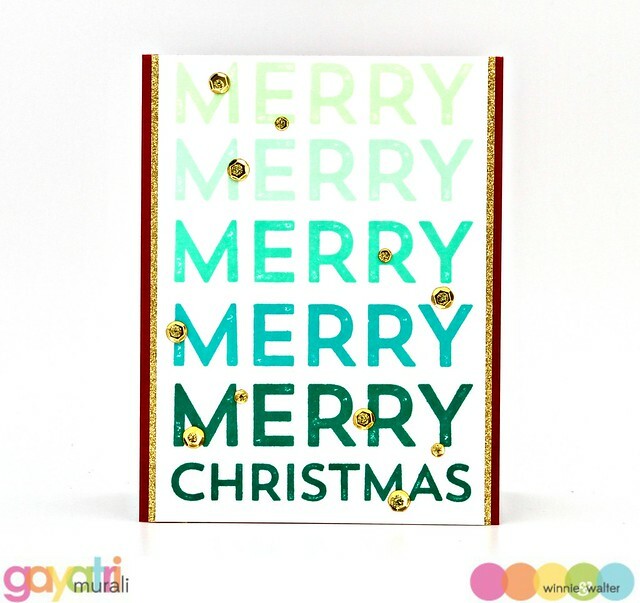 The bright colors make me so happy and I love this use of unconventional colors for Xmas cards!!! The Peppermint Zone Cutaway is great!!! These are great samples of these new products. The peppermint cutaway is my fave. Oh that cover die along with the circle cut out is fascinating ! 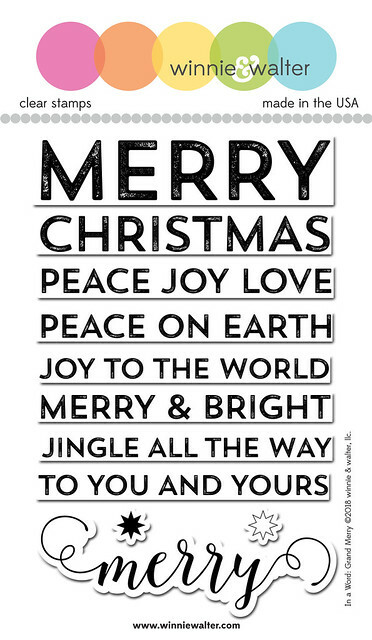 Love the graphic 'Merry Christmas' cards! The bold font is great! Love the Grand Merry set! Another fun set of stamps/dies. Just in time for the holidays, love the creativity from the DT today. Thanks for sharing your ideas.. Thanks for sharing more of your awesome products--love all of the cards shown. Love the Grand Merry set and that gorgeous Peppermint die! Great release! these are so nice projects and so nice products! Very fun Merry products. The cutaway is really cool. What wonderful new items! Love all the new dies and stamps! The Grand Merry stamps look amazing with that peppermint die background, wow! Love these new products. The coverplate die is a treat. 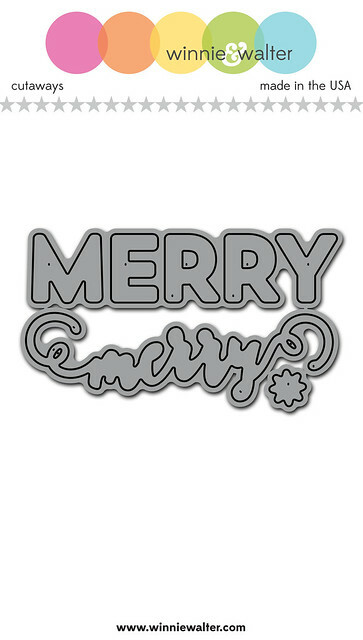 The Grand Merry stamps and dies are totally fabulous and I also love the peppermint die!